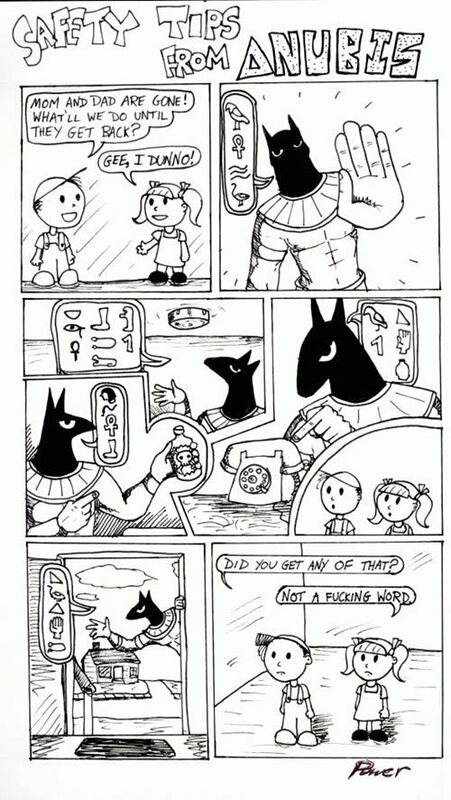 Safety Tips From Anuibis. . HD Wallpaper and background images in the Egypt club tagged: ancient egypt anubis gods mythology safety tips hieroglyphics comic cartoon.